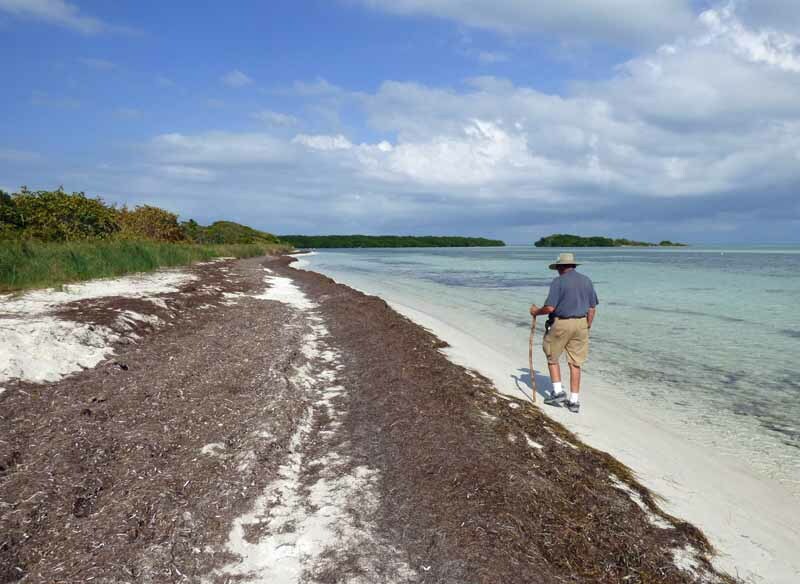 We planned our walk for low tide and had plenty of beach to walk on. 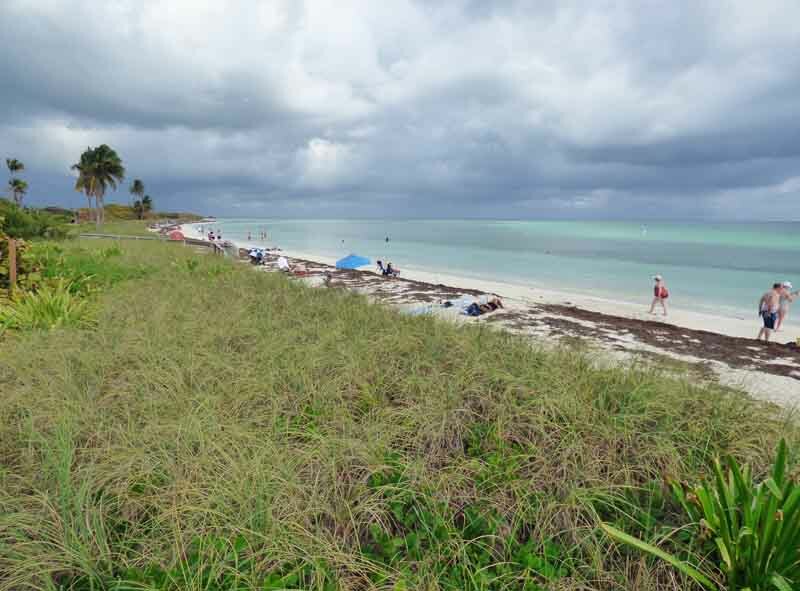 It was very cloudy in Marathon, but they sky was blue at Bahia State Park. Here is a look back toward Marathon. 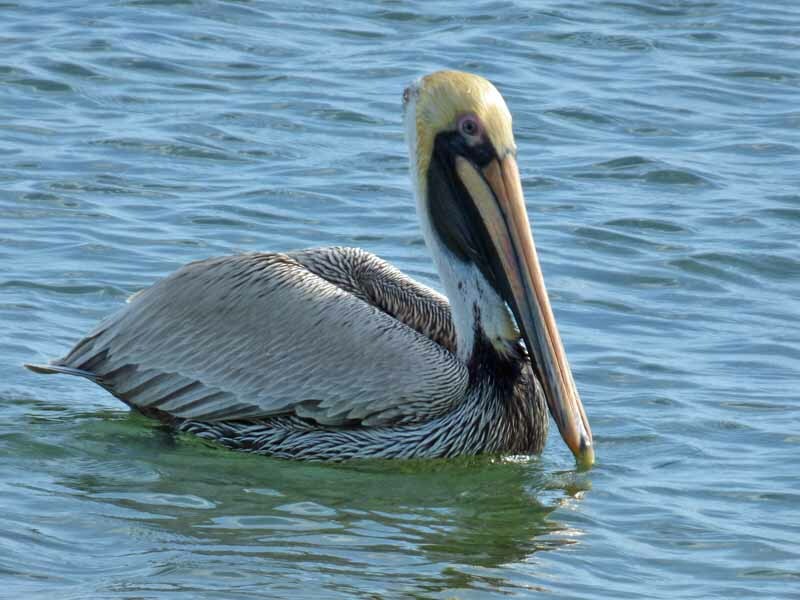 The pelicans were busy fishing close to shore. There is a lot of sea grass on the beach in this area too. It is sad to see what remains of these two palm trees. They were always a popular spot for a beach blanket when they were standing. There are two small islands offshore of the park. They can be seen in the background of the picture with Andy walking on the beach. 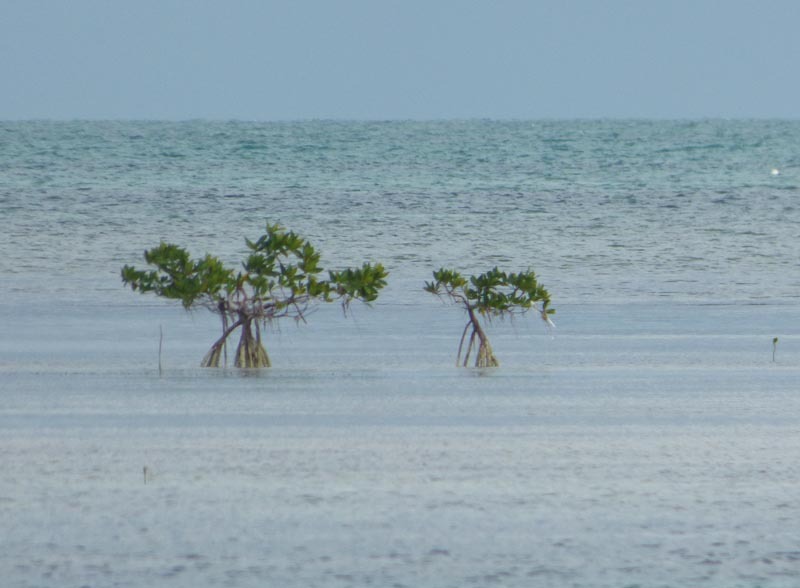 These two small red mangroves are growing in the shallow water between them. 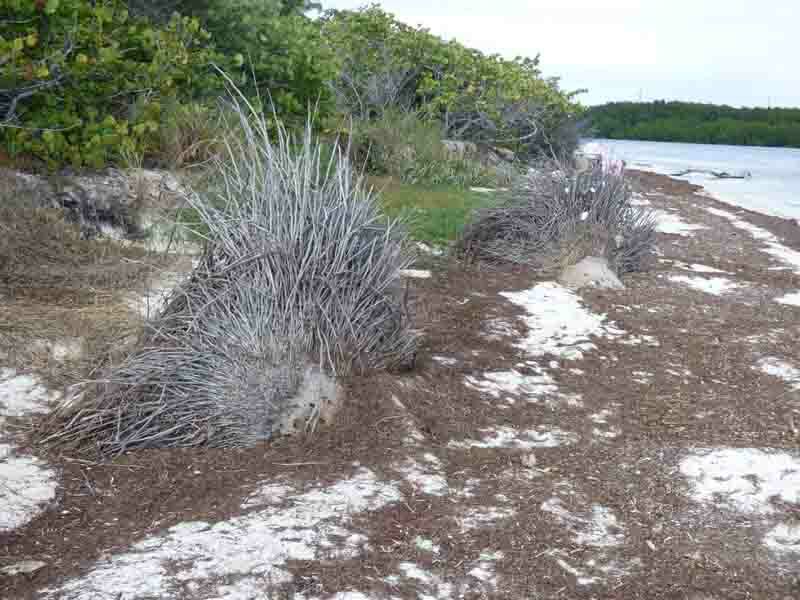 Red mangroves have those prop roots that distinguish them. We have seen rays along the beach. This stingray is larger than most. It was also swimming very close to the beach. I took one last picture of the beach and clouds as we walked around the toilet building to wash the sand off our shoes. We got a few rain sprinkles as we drove back home. Lucky us, the rain did not start in earnest until after we were back in the motor home. Yes, it is our favorite. Iâll bet (but not much 😉 that the small bird is a Palm Warbler. YES!!! Thank you, Bill. 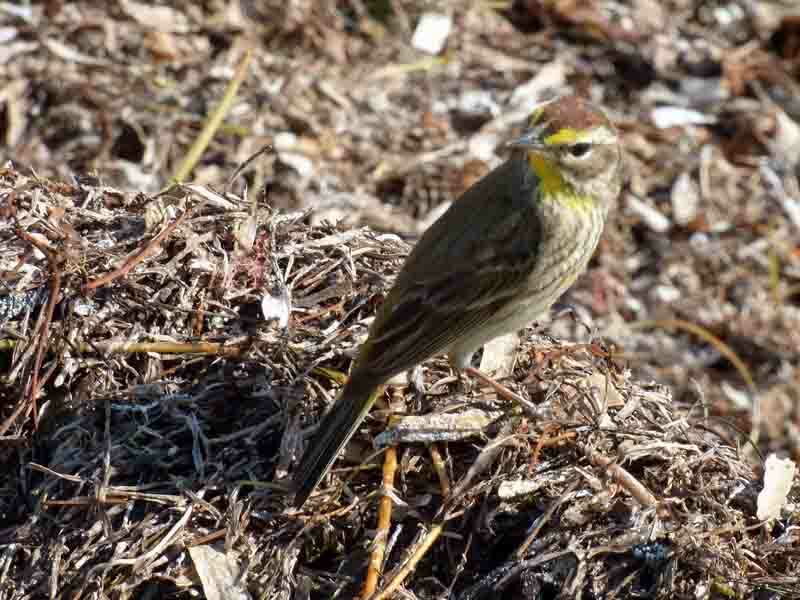 When I Googled images of “palm warbler” in got the exact bird. Thank you. I’m glad I didn’t bet against you there, even “not much”. Thanks. I think it is the best picture I’ve ever gotten of one. I love the clouds in your photos! I thought they were pretty cool too. We could see the rain, but it did not show up much in the photos. Beautiful pictures, especially of the sky! 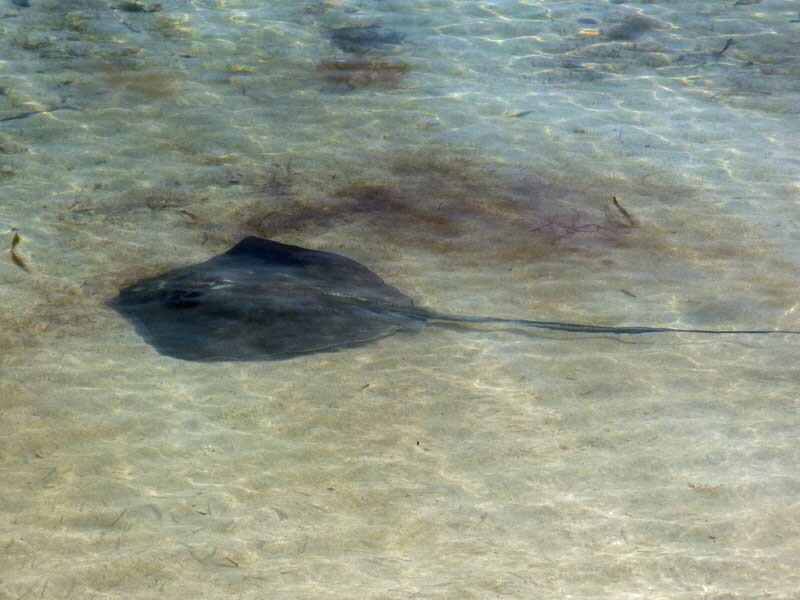 We saw stingrays at the aquarium at Gatlinburg last week, they are awesome! Did you get a chance to touch them? They feel slick as snot. oh the beautiful colors of the Keys! 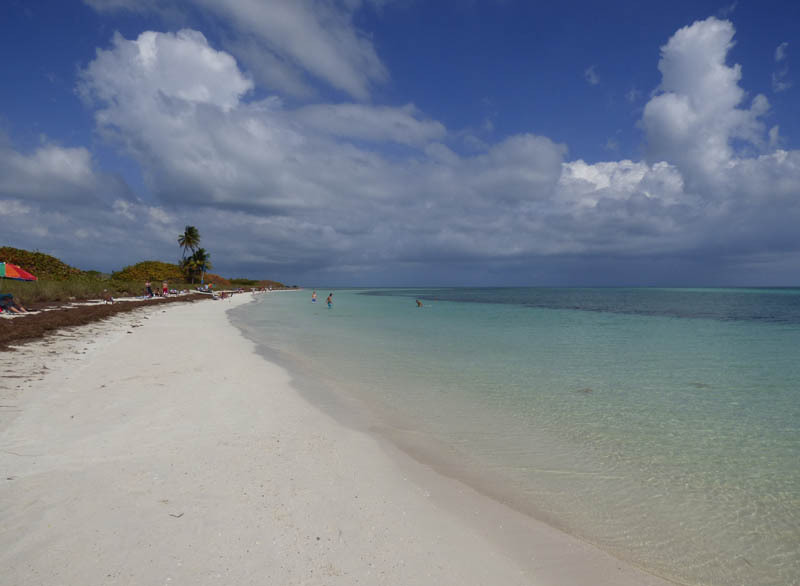 “Thank you for taking me along” on your walk at Bahia Honda 😉 Wonderful images, as usual.